When Andrew Baxter isn't attending cosplay conventions, he works as an electrical engineer. 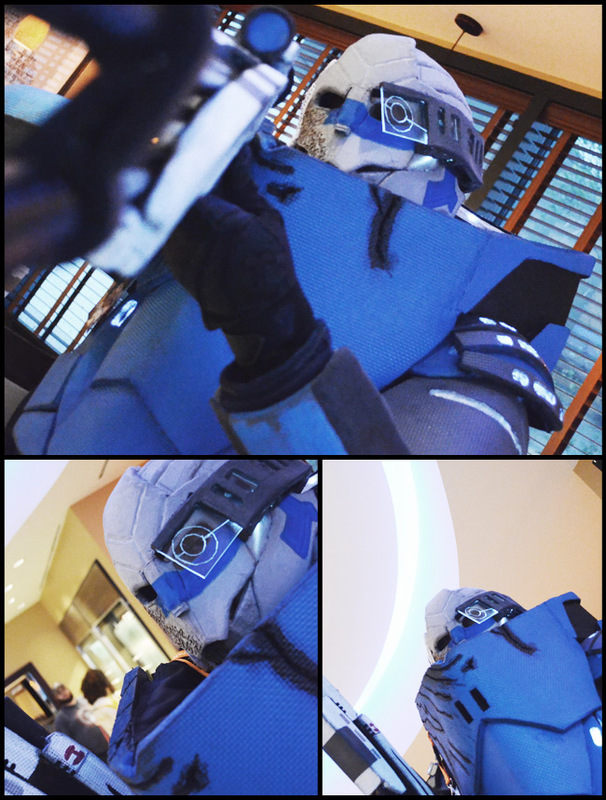 And he put those skills to use in this Mass Effect getup. "I designed the suit to radiate my body heat, and I rigged a little amplifier/microphone system so people can hear me talk," he said. "Plus these lights all work." And if that doesn't make you love Andrew, listen to this: he brought his adorable three-month-old baby to MomoCon. I watched him bounce the baby without taking off the Garrus costume, and I wanted to give the whole family a big, awkward hug.